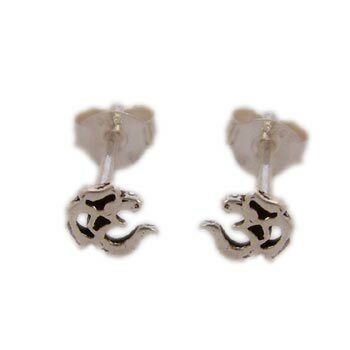 Om mirror image studs. 0.5 cm, 0.6 g Om means universal truth and knowledge.â�?�¨In saying Om, everything is encompassed independent of time. Om is the essence of all that is sacred.â�?�¨One of the most powerful and widely used mantras in Hindu and Buddhist traditions, Om is chanted at the beginning of meditation, prayer and yoga among others.